Recorder Smyth’s Charge—The Jury Locked up for the Night. The trial of Charles H. Warren, a contortionist, for the murder of Patrick H. Dwyer, proprietor of a pool room at No. 108 Bowery, in a dispute arising out of the refusal of the former to engage in a game of pool on the night of Sept. 21 last, was resumed in the Court of General Sessions yesterday. The deceased saloon keeper received a shot in the back, which proved fatal. Warren, who is an extraordinary freak of nature, amused the court officers during the long hours in which the jurors were deliberating on his case by his wonderful actions, dislocating the various joins of his body at will and resetting them with a sharp click, disagreeably suggestive of the operating room. The defense was that Warren fired in self-defense, Dwyer having attempted to shoot him. The case on both sides having closed on Wednesday evening, Recorder Smyth, on the opening of court yesterday, commenced his charge to the jury, and occupied an hour and a quarter in his delivery. His Honor charged that if the jury believed that before firing of the fatal shot Warren had time for premeditation and formation of a design to kill, his offense, if any was murder in the first degree. 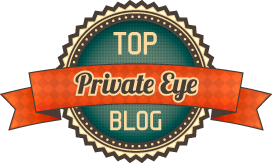 If he showed no premeditation, his offense would be murder in the second degree. He withdrew the offense of manslaughter in the first and second degrees form their consideration as inapplicable to the case at issue, and defined the law in relation to manslaughter in the third and fourth degrees. If, he said, Warren believed that Dwyer intended to kill him or to do him serious bodily harm, he had the right to take the life of the latter. It was no longer the law of the State, the court explained, that a man should retire before an armed assailant, when to do so would expose his life or person to danger. He had a perfect right, in the defense of his person or life, if unable to escape in safety from his antagonist, to stand his ground, and, if necessary, take the life of his assailant. He would be justified, too, in governing himself according to appearances. If he was menaced with a pistol—even though it should afterwards transpire that the weapon was not loaded—he had the right to act upon appearances, and take the life of his assailant. His Honor charged the jury to take into consideration the evidence of the defendant’s previous good character, and if they had any reasonable doubt of the guilt of the defendant it was their duty to give him the benefit of that doubt and acquit. The jury retired at 12:50 P. M. and at 10 last night, not having agreed upon a verdict, was locked up for the night. The jury in the case of Charles H. Warren, the contortionist, on trial for the murder of Patrick H. Dwyer, proprietor of a saloon at No. 108 Bowery, whom he shot in a dispute arising from a refusal of the defendant to play a game of pool, entered the Court of General Sessions yesterday morning, after having been locked up all night, and had the evidence of one of the witnesses of the prosecution read to them. They returned to their room and on coming into court again at 2 P. M., informed Recorder Smyth that they found it impossible to agree upon a verdict. As they had been together 25 hours and could arrive at no conclusion, the Recorder said he did not feel justified in detaining them any longer, and discharged them from the further consideration of the case. The jury stood nine for acquittal, and three for conviction of some grade of murder. Warren was then taken back to the Tombs. His counsel will endeavor to procure his release on bail. Was a verdict ever decided upon? I'm curious as to how much of the verdict was influenced by the likability of defendant, especially if he was entertaining. I did a little looking but could not find a second trial. Everyone, including the judge, seemed to be on the defendant's side so my guess is they decided it wasn't worth the trouble to try him again. “Patrick Dwyer, keeper of a saloon at No. 108 Bowery, New York, last night played a game of pool for $50 with Charles Warren, an acrobat, who boarded in the saloon. Warren lost and had no more to pay. 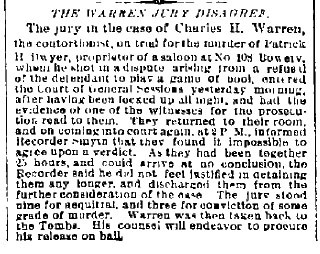 In the dispute which followed Warren shot Dwyer in the back, fatally wounding him,” according to the Baltimore Sun, published on September 22, 1882. “SALOON MURDER. NEW YORK, Sept. 21. – Patrick Dwyer, a saloon keeper on the Bowery, was fatally shot to-night by Chas. Warren, the acrobat. Dwyer defeated Warren in a game of pool for $50, Warren could not pay, and a fight followed,” wrote the Daily Globe, published on September 22, 1882. “Killed for Not Paying a Gambling Bet. New York, Sept. 21. Patrick Dwyer, keeper of a saloon at 108 Bowery, was shot and fatally wounded to-night by Charles Warren, an acrobat, who boarded in the saloon. The two played a game of pool for $50. Warren lost and had no money to pay. In the dispute which followed Warren drew a revolver and shot Dwyer in the back. Warren was locked up and Dwyer was sent to St. Vincent’s Hospital. He cannot recover,” according to the Reading Times, published on September 22, 1882. "Coroner held the inquest yesterday in the case of Patrick Dwyer, who was shot on Sept. 22 in a billiard room row at No. 108 Bowery, and died the following day. 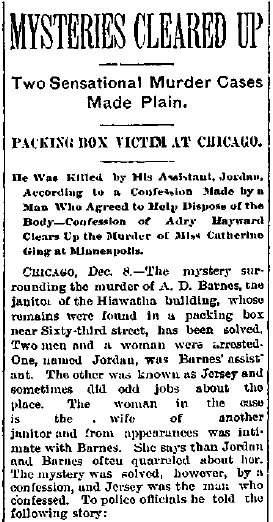 The jury found that his death was caused by Charles H. Warren, an actor, who was committed to the Tombs to the action of the Grand Jury,” according to The New York Times, published on October 12, 1882. “An Actor Sentenced for Manslaughter. New York, February 7. 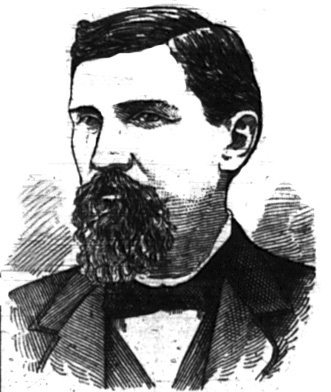 Charles H. Warren, the actor who shot and killed Patrick Dwyer in the latter’s saloon at No. 108 Bowery, has pleaded guilty of manslaughter in the third degree and been sentenced to four years’ imprisonment at hard labor in the State prison,” according to The Boston Globe, published on February 7, 1883.